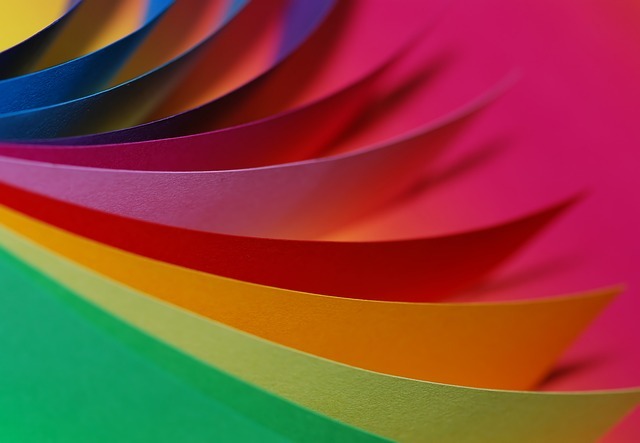 We all accumulate paper clutter and having a messy desk can add to our stress! In the US, there is an average of 520 million mail pieces processed by USPS daily! Getting junk mail is normal. In the Philippines, it is mostly receipts and billing statements that we need to deal with. How do you manage and organize your paperwork – bills, receipts, records, etc? 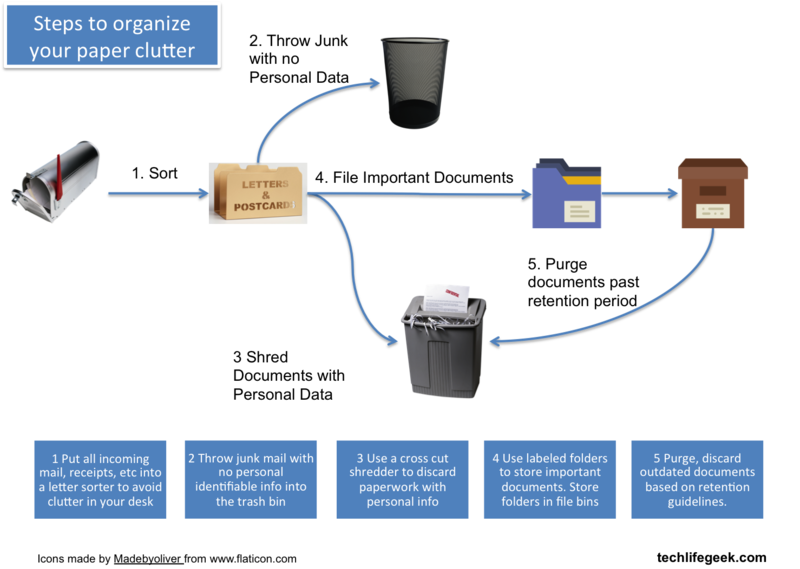 How do you get rid of paper clutter? The main answer is to make sure you have a system in place and the right tools such as paper shredder and digital scanner. Most of us might have a system already in place to manage the various paper we receive on a regular basis. In case you don’t have a system yet but just go on a simple junk what you don’t need and keep what you need kind of system then let me share with you a few simple tips. If you have an option to go paperless billing from any of your utility companies, go for it! It will lessen the load of paper you would need to sort out. 2. Use a Letter Sorter. This is where I dump the new arrivals. I admit I don’t immediately sort and put away new mail as they arrive. I place them in the letter sorter and I deal with them on weekends. At least it keeps the desk tidy and avoids being messy specially when these mails pile up! 3. Throw Junk but be mindful of throwing your name and address information. Identity theft continues to be the number 1 consumer complaint received by the Federal State Commission for 15 consecutive years¹! It is a real issue and a simple way to protect yourself from “dumpster divers” is to shred anything that contains personal identifiable information – name, address, phone numbers, credit card numbers, bank statements, etc. 4. Use a cross-cut shredder. A cross-cut shredder is more secure than a standard strip-cut shredder. A cross-cut shredder provides more security because it cuts paper into confetti-like shapes, making it harder to put the paper pieces back together. Practice shredding all paper that you’re throwing away except for flyers, and other marketing materials that don’t include any personal information. 5. Create a filing system. Use labeled folders to organise and sort your paper. You can use folders to file away old billing statements, important government related records, warranty cards and receipts, etc. Store folders in bins. It’s easier to find anything when all folders are properly labeled. Use a legal size folder to fit any document and I recommend using hanging file folders for easier organisation in a filing box. There are retention guidelines to determine how long you need to keep a record, bill or document for. When that time has lapsed, then purge the documents to keep your filing system healthy. And remember, when we say purge – use your shredder! This is a useful infographic for retention guidelines that you can use. If in case you have documents that you need to keep, instead of piling them up in storage, you can now use a document scanner. There are already a lot of features available such as the ability to scan double sided documents in one pass and upload directly to a cloud drive. What system are you using to manage your paper documents? Do you use a paper shredder?